For whatever reason, my nail polish chips almost immediately. And I’m not rough on my hands – believe me! I’m not gardening or constructing benches. I’m ordering Starbucks tea, typing, cooking and maybe hitting up the mall. When I was younger, I used to have tips on my nails. I would say from about 17 to 26 (until I had my first child). Then I couldn’t maintain them any longer and stopped going to the salon. Since then, I’ve had to deal with chipped nails because I’m not one to frequent a salon. 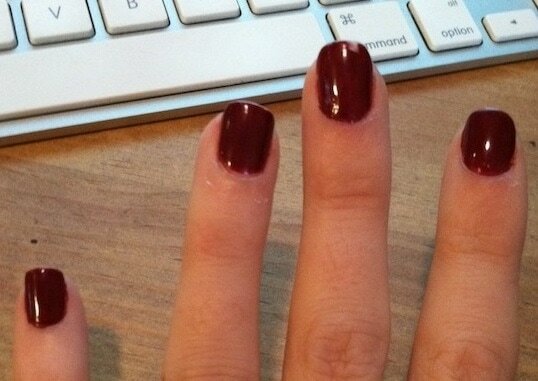 I really only go for special occasions… otherwise I do my nails at home. And here are my nails this morning (3 days later). I know what you are saying – not a big deal. BUT IT IS A BIG DEAL! You can see my middle finger does have a slight chip – but it’s totally FINE otherwise. I can’t get over this. 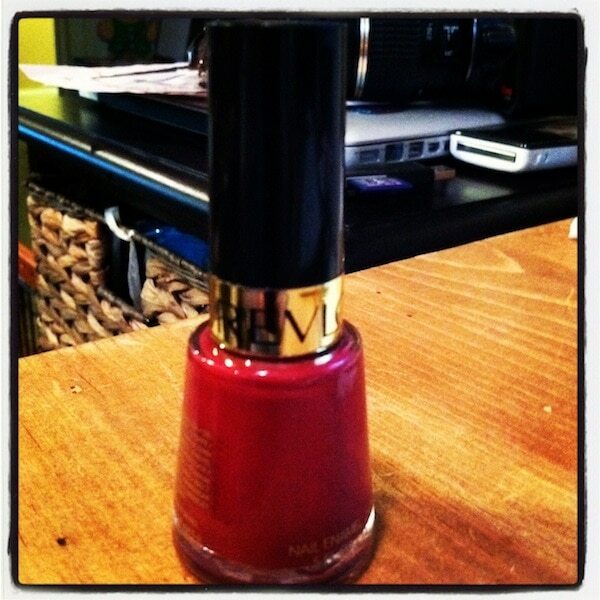 And not for nothing – but I bough this nail polish for $.99 at CVS a few weeks back! Totally worth every single penny. So, if you want to try a new polish – check out REVLON VERNIS (available online too ). The color I chose is 551 Raisin Rage. LOVE IT! That is a huge deal! After one day my nails are chipping too!